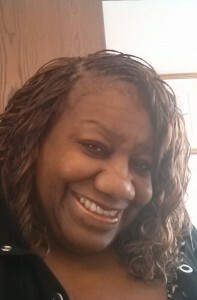 Rose Jackson-Beavers, Chief Executive Officer of Prioritybooks Publications grew up in East St. Louis, Illinois and received her Bachelor and Master degrees from Illinois State and Southern Illinois Universities. Rose is an inspirational speaker who is frequently asked to talk to youths and young adults about life issues. She has worked with many youths throughout her community and has received many awards and recognition for her work with youth empowerment and publishing. She has worked as a freelance writer for A-Magazine, a St. Louis Publication, The Spanish Lake Word Newspaper and as an Opinion Shaper for the North County Journal Newspaper. Married for thirty-one years to Cedric, they have one daughter, Adeesha. Rose is the author of nine books. Her newest book, A Sinner’s Cry was a finalist in the RELIGIOUS FICTION category in The Next Generation Indie Book Awards 2012. She has published 27 authors and over 100 books through her company. Rose newest release through Urban Books is Full Figured 5 with Brenda Hampton. This book was on the Black Expression Book club best sellers list for many months. Rose’s books can be purchased anywhere. People inspire me to write, and I love to watch people. I learn a lot by looking at their movements, gestures and listening to their stories. I have always been a great talker. As a child, I loved to tell stories and repeated daily news of situations I’d heard. The difference was the way that I reported these stories. I used great imagination, exaggeration and action verbs to draw my audiences in. My family inspired me to write. I grew up in a large family, and we loved to read. We would fight over the cereal boxes as we ate breakfast in the morning. My siblings and I had to read the back of the box. It seemed to make the cereal taste that much better. I had to read. Reading made my day that much brighter. Missing relatives and wanting to know what they were doing in their cities was another inspiration. During my pre-teenage years, I began to write letters to relatives, friends and pen pals. Often I would look in the back of magazines like Black Beat, etc., and write to pen pals. These descriptive letters about my family and the city I lived in increased requests from family members to write again. As I aged and was a student, some teachers who required us to write essays often told me to write the assignment and not a novel. But again I couldn’t do that because I had to tell the story. Serious articles about poverty, crime, and other negative stuff would start off with girls sleeping in bed, with hungry growling bellies, dreaming of a better life as they visualized themselves in pink leotards, and ballerina slippers’ dancing gracefully across the stage. I didn’t know then, but I wanted to write. Words, scenery, and people stimulate me, and this encouraged me to put things in writing. I write because it is my love and my life. I dream scenes and then type them. Usually, when I dream of a character and some act of mischief they are in, I don’t forget it. The next day when I get to a computer, I write the information into a story. I just type. If I formed an outline, I would lose the free flowability to come up with stories. I don’t want to be tied down to an outline or write to one. I talk to characters and listen to their words and what they are wearing. I have conversations and sometimes I become the character to understand the real emotions and feelings they have. To take the time to write and just do it. I hear all the time I have a story that I think people want to hear. I say, stop thinking and just write. Set up a time to write, even if it’s only 20 minutes a day. You have to have a routine and stick to it until you find your rhythm. Book publishing has changed so much lately. People are taking a chance and finding huge audiences to support their writing and purchase their work producing ebooks. More people will put out stories and not wait to be accepted by anyone. But to keep their readers and to bring on more fans, they must make sure their work is quality and shelf-ready. Your book should always be suitable. What genres do you write? : I write inspirational, teen and Christian fiction.